Chloroform anesthesia is prepared from chloroform chemical formula and is a potent, pleasant, non-irritant anaesthetic agent, very popular in the early days of anaesthesia. 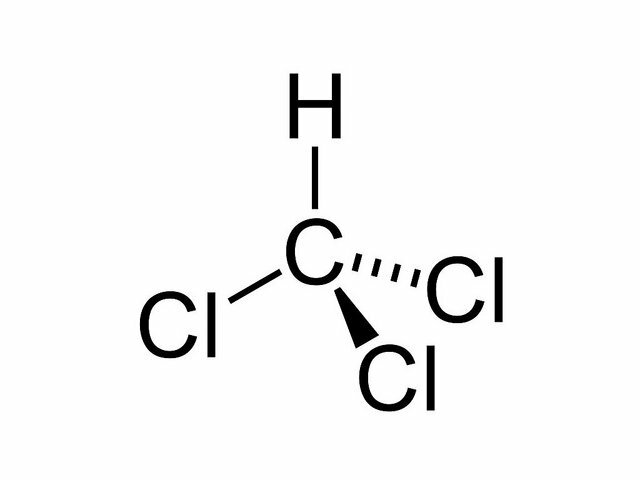 Physical properties of Chloroform chemical formula are that, it is colourless, sweet odour, non flammable, bp 6 1°C, VP 80mm Hg, blood/gas coefficient 10.3, oil/gas 394, MAC 0.62, metabolism 50% to phosgene, CO2 and H20. Phosgene is highly toxic. • Primary cardiac collapse due to myocardial depression. Chloroform chemical formula is obsolete at present. A mixture of ether and chloroform (C2E3) was popular in India by open drop method in 1 920s up to late 1940s. Marie Jean Flourens (1794-1867) had used chloroform in dogs while studying stages in depression of the central nervous system by chloroform and ether. Simpson and a group of friends learned of the surprising potency of chloroform at a dinner party hosted by Simpson on September 4, 1847. Dinner was followed by the experimental inhalation of volatile drugs, and the use of chloroform was followed by stupor and coma in several participants, including Simpson. Simpson promoted chloroform vigorously, and its use was widely accepted in England. As an obstetrician, he advocated its use during labor and promoted, along with others, the use of analgesics during parturition. Initially, his views conflicted with those of medical authorities, who considered it unsafe during labor, and with those of religious authorities, who opposed it on theologic grounds. Edinburgh had a black history on the issue of pain relief during childbirth. In 1591, a young woman named Euphanie Macalyane was burned alive as punishment for seeking pain relief during labor. Her sentence was on a direct order from the King of Scotland, James VI (1567-1625). Simpson was not a timid man and met the religious controversy with direct quotations from the Bible that appeared to support his views (Genesis 2, 21: “and the Lord God caused a deep sleep to fall upon Adam, and he slept: and he took one of his ribs, and closed up the flesh instead thereof.”). Chloroform was used widely in England, but controversy developed about its safety, particularly in otherwise healthy subjects, those in whom a physician would not anticipate any difficulties. Various commissions and committees were formed, notably the two Hyderabad commissions (1888 and 1890), to investigate the relative safety of chloroform. In the late 19th century, Hyderabad, a city in the middle of the Indian subcontinent, was the capital of the independent state of Hyderabad, ruled by the Nizam Mir Mehboob Ali Khan. The Nizam was persuaded to underwrite an animal investigation into the safety of chloroform anesthesia by Major Edward Lawrie (1846-1915), principal of the Indian Medical School in Hyderabad. Lawrie had a preconceived belief in the safety of chloroform, and the results of his studies understandably concluded that chloroform was entirely safe if given according to his methods. The agent continued in use for several decades, but its slow demise was initiated in 1894, when Leonard G. Guthrie reported several cases of delayed chloroform hepatotoxicity in children. The future use of chloroform anesthesia was doomed after the studies of A. Goodman Levy (1856-1954), who demonstrated that the combination of light chloroform anesthesia and adrenalin produced fatal ventricular fibrillation in experimental animals, thereby explaining the perplexing sudden demise of several healthy subjects who were administered chloroform anesthetics.